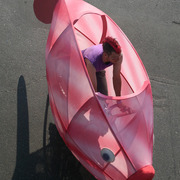 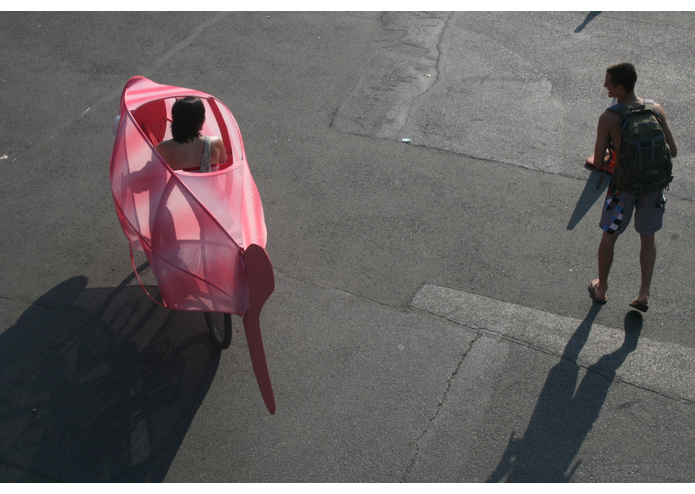 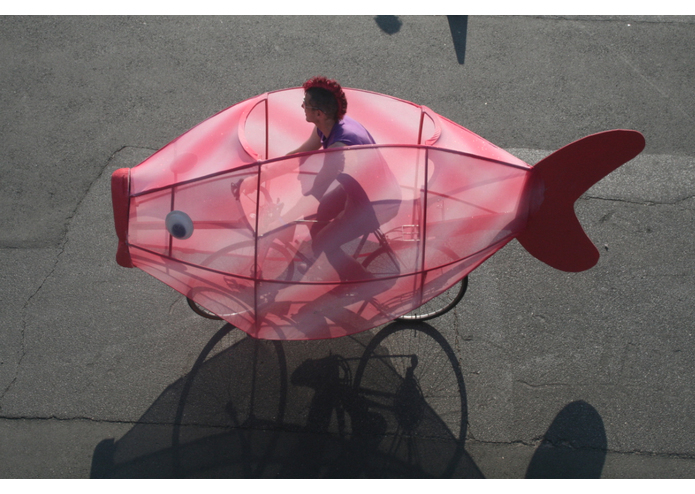 fishbikes are a radical enclosure system for bicycles, for use as a costume or media display platform. 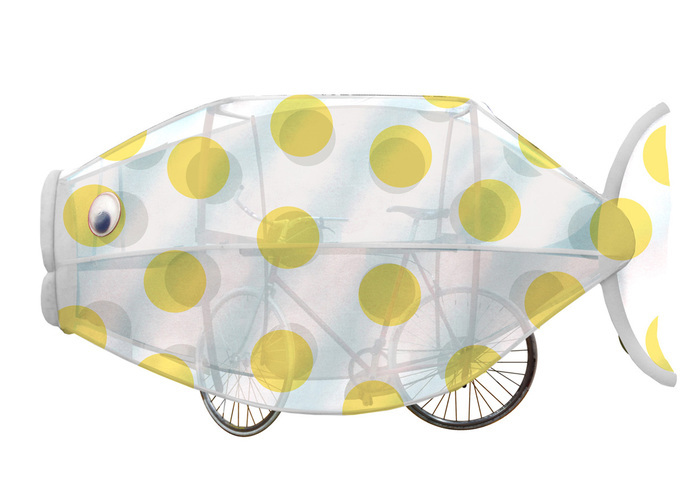 The fishbikes system is portable, can be assembled in minutes, and allows you to ride your bike as easily as ever. 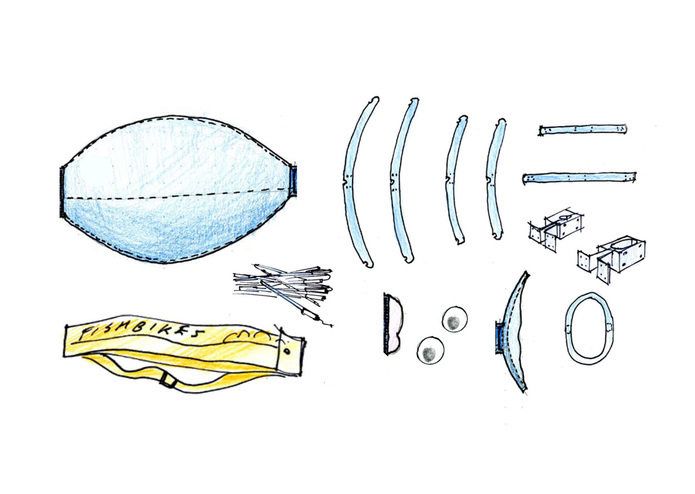 I like to draw things, then make them.